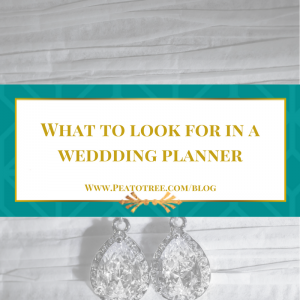 What to look for when hiring a wedding planner! 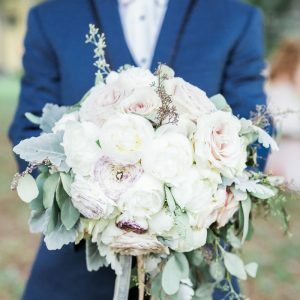 You know what a wedding planner does, you know hiring a planner is the right choice for you, but now what exactly do you look for when hiring a planner? Before even hiring a planner, you should have at least a few things figured out; your budget, amount of guest, and an idea of location (this isn’t a big deal as we can help you figure it out). You need to have a realistic budget to figure out what is possible and what is not. For example, personally I do not like to sugarcoat when it comes to what is possible with your budget. I want every couple to have realistic expectations, when they are describing their over the top weddings. The more guests you have, the higher the budget will be. Now, that you have an idea of your budget and amount of guests, how do you choose the planner that will make it work for you? The more years a planner has in been in business full time, the more knowledge they can provide. You get a planner who has more relationships with vendors. More relationship also means, having more knowledge on how to negotiate terms, organizing and of course troubleshooting is second nature. Planners have different set of skills as well, so choose one that has what you are looking for. For example, if you want a planner that not only takes care of the logistics, but with the florals, design, colors, then having someone who is also very visual will help. Unfortunately, there are planners out there who do not have insurance. If you have a business, and you take it seriously, then insurance is a must. When you hire someone who is licensed and insured, you know you are dealing with a professional and not with a fly-by-night individual. A lot of venues ask for liability insurance anyways, so make sure you hire someone who has that. The amount of time you will be spending communicating with your planner throughout the process, makes personality really important. You need to not only click, but make sure that person is not going to make your life harder, but easier. If you want a good laugh, look for that in your planner. Some brides might love hearing that their planners plan 100 weddings a year, but truth be told, taking on too many weddings could speak volume to the level of customer service that you’ll receive. Here at Pea to Tree Events, our priority is to give each couple our full attention, therefore we don’t take more than 20 weddings a year. There are planners who offer Event Management (Coordination) only, and Full Planning service. Event Management, which some people call day-of-Coordination, does not exist. 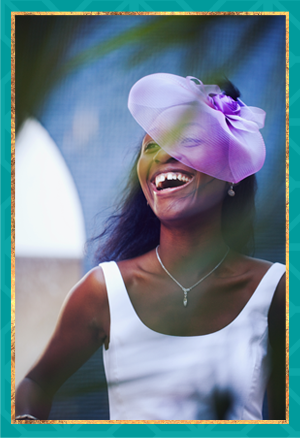 You can’t possibly hire a person for the day and expect the event to go smoothly on your wedding day. Event Management starts four to six weeks out, to make sure all details are accounted for and vendors are on the same page. Full Planning, is when from the very beginning we are with you, walking your through the process. Communication is key, so know how often your planner will communicate with you. If you send an email will you get a response within 24hr to 72hrs or will it be monthly? Know your expectations and find someone who is comfortable delivering that via email, text or phone.